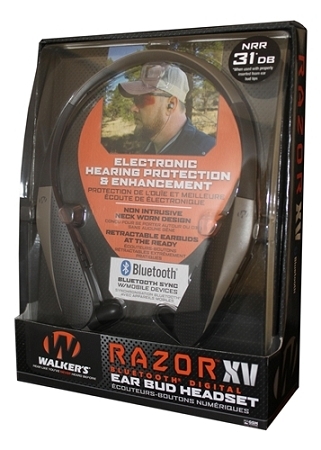 The Razor-XV incorporates a neck worn device featuring retractable digital ear buds that provide incredible comfort for all day shooting. The “behind the neck” design allows for ZERO interference with you or your weapon, allowing for complete focus on your target. 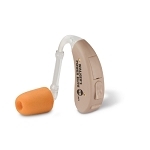 These remarkable patent-pending buds will not only protect your hearing, but enhance up to nine times your natural hearing ability as well. 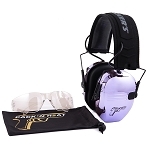 Utilizing a Sound Activated Compression circuit (SAC) the Razor XV features a no fail system for protecting your ears from harmful noises such as muzzle blast, and will actually reduce overall sound output. The Hi Gain omni-directional microphones provide clear sound enhancement for enjoyable conversations on the range or to hear firearm instructors’ directions while training. The Razor-XV HD digital speakers provide a wide range audio quality that enhances the users experience. 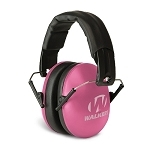 Now featuring Bluetooth, you can stream your favorite music, or even take a phone call all while protecting yourself from the harmful effects of muzzle blast. 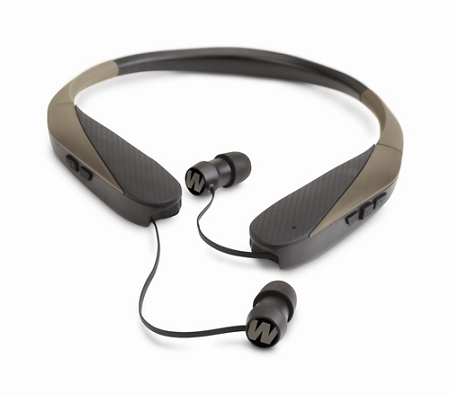 The Razor XV also features independent volume control between the microphone and Bluetooth feed. In a shooting scenario this allows you to stream your music quietly and still allow for range commands over the top of the music when the microphones are turned up. In a hunting scenario, you can quietly listen to music, stream a sports game, or take a phone call and not miss out on anything running in! The Razor XV model is a serious game changer for any shooter or hunter alike.